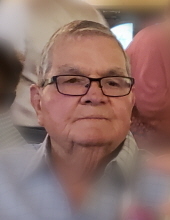 Clifton Gale Rider went to be with our lord on 9 February 2019. He was born on March 9, 1936 the son of Cliffton Harold & Emmalese (Oakley) Rider. Gale served his country proudly as a member of the United States Army from 1955 to 1958 as a specialist 3rd class participating in operations in South Korea during his service. After returning home, he found himself successful in several different occupations but his passion was in woodworking…fabricating custom cabinetry, doors, and other wood art too numerous to mention. He was precede in death by his parents. He is survived by his wife, Martha of the home; 3 sons, Kevin Rider and his wife Laura of Pilot Point, Texas, Warren Giles and his wife, Dana of Afton, Oklahoma and Derek Giles and his wife Meredith of Vinita, Oklahoma, 1 daughter, Melanie Christophel and her husband, Dan of Fairland, Oklahoma, 2 brothers, Donald Rider and his wife Linda of Grove, Oklahoma and Terry Rider of Lahoma, Oklahoma, 2 sisters, Janice Schmitz and her husband, Clark of Medford, Oklahoma and Sharon Gibson. Other survivors include, 14 grandchildren, 14 great-grandchildren several nieces and nephews and other relatives and friends. Gale loved spending time with his family whether it was holiday get together; fishing trips to the lake, an afternoon watching westerns, or telling stories over a hot cup of coffee, and last but definitely not least, he loved his Oklahoma Sooners. He was always happy to have family near. He will be fondly be remembered by family and friends for being a loving kind soul with a wonderful sense of humor and a generous heart. Funeral services for Clifton Gale Rider will be held 1:00 P.M., Tuesday, February 12,2019 at the Trinity Southern Baptist Church in Afton, with Pastor Brian Gibson, officiating. Interment will be held in Sixkiller Cemetery, in Afton. Military Rites will be performed by the American Legion Post #147 of Miami. Pallbearers will be Austin Rider, Gage Rider, Alex Christophel, Corbin Giles, Caleb Giles and Caden Giles. Honorary pallbearers will be Tyler Kahler, Eric Wilmoth and Chris Lawson. To send flowers or a remembrance gift to the family of Clifton Gale Rider, please visit our Tribute Store. "Email Address" would like to share the life celebration of Clifton Gale Rider. Click on the "link" to go to share a favorite memory or leave a condolence message for the family.